We’ll explain your x-rays if they were taken. After being greeted by a member of our staff, you will be asked to watch a 5 minute video, to help you better understand what the doctor will discuss with you. 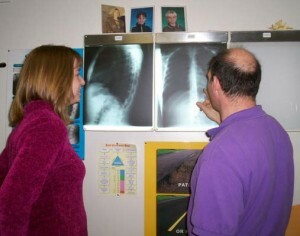 The doctor will review your examination any x-ray findings with you. A course of care will be recommended based on your particular health problems. Your financial obligations will be discussed with you after seeing the doctor. This visit is approximately an hour.